This picture is © Martin Laycock and may not be used or published without permission. 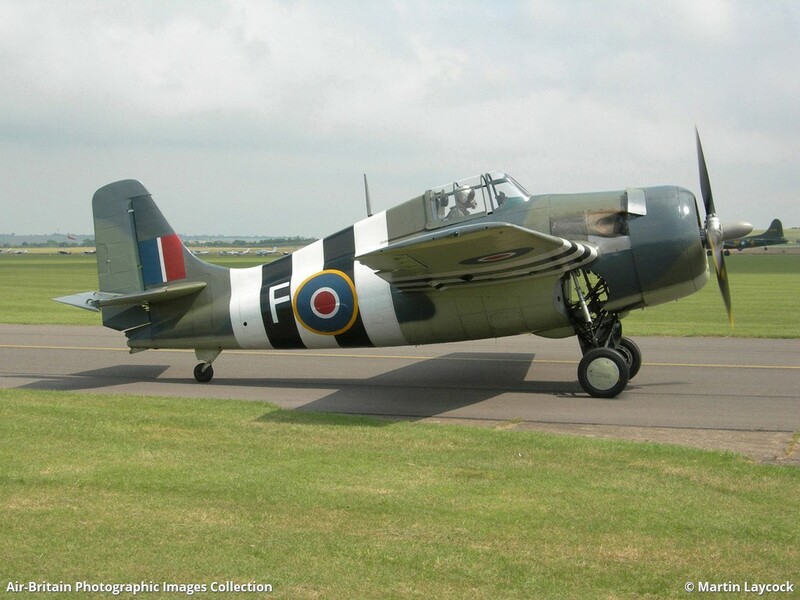 The Fighter Collection's Wildcat taxying out at Flying Legends 2005. Restored by Steve Hinton at Fighter Rebuilders in Chino, California she made her first post-restoration flight on 14 January 1993 before being shipped to the UK. She's currently the only example of the type flying in Europe.